A selection of Cambria Hotels properties, along with Choice Hotels Ascend Hotel Collection® properties, are now available for Traveler Plus members to book through the Direct Exchange benefit. * You can book these online with the same ease as you book other Direct Exchange reservations. 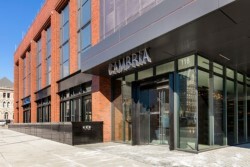 Cambria hotels are modern, stylish properties designed for the modern traveler. In addition to Cambria hotels in New Orleans and Nashville, choose from new additions to the Direct Exchange portfolio in more of the places you want to visit, including Dallas, Pittsburgh, Philadelphia, and Washington, D.C. The Ascend Hotel Collection is a network of boutique hotels that offer guests a genuine, local experience with superior amenities and attentive service. You’ll get a true sense of the history, charm and natural beauty of the surrounding area when you stay at any of the more than 150 Ascend Hotel Collection properties located throughout the United States, Canada, Europe, Australia, the Caribbean and more. Make your Direct Exchange reservations* with Bluegreen Vacations Points online through Prizzma at bluegreenowner.com. Before you make your first Cambria Hotels or Ascend Hotel Collection reservation through Direct Exchange,* you must enroll in the Choice Privileges® rewards program. It’s easy and free! Enroll at bluegreenowner.com by clicking on the orange “sign up now” button and following the instructions. If you are already a Choice Privileges member, you can link you Choice Privileges number with your Bluegreen account by choosing the orange “link account” button. Book your Cambria Hotels or Ascend Hotel Collection stay using annual, biennial, borrowed or rented Points up to 100 days in advance of check-in. You’ll get low exchange fees—even lower if you’re a Premier owner. ** Your Choice Privileges account number is required to book all Ascend Hotel Collection reservations through Direct Exchange. * Reservations cannot be made for or on behalf of friends and family or any third parties. Check Out These Cambria Hotels Now Available Through Direct Exchange! From its vibrant arts scene to the breathtaking beauty of the Blue Ridge Mountains, you can explore the area’s top attractions while staying here. Stay in the heart of the action, within walking distance of restaurants, breweries, art galleries and unique shops. Complimentary WiFi, microwave and refrigerator in room; restaurant and bar on-site. Enjoy an upscale hotel experience that echoes the diverse and dynamic spirit of Dallas. Stylish, modern accommodations in a historic downtown building are located near attractions like the Sixth Floor Museum at Dealey Plaza and American Airlines Center. Complimentary WiFi and refrigerator in room; fitness center, restaurant and bar on-site. Experience the style, sound and Southern hospitality of Tennessee when you stay just steps away from attractions like the Bridgestone Arena, museums and more. Complimentary WiFi and refrigerator in room; outdoor heated pool and restaurant with live music stage on-site. 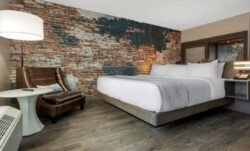 Located in the city’s hip, bohemian arts district, this newly constructed hotel exudes unmistakable Big Easy style. Find boutique accommodations and a full range of tech-forward amenities only six blocks from Bourbon Street. Complimentary WiFi and refrigerator in room; restaurant and bar on-site. Enjoy modern decor, upscale accommodations and easy access to world-class shopping and dining near Independence Hall in downtown Philly. Complimentary WiFi, microwave and refrigerator in room; bistro, full-service bar and state-of-the-art fitness center on-site. Stay in the Steel City’s vibrant business community, close to shops and entertainment and sporting venues. Complimentary WiFi, microwave and refrigerator in room; indoor pool, hot tub, fitness center, restaurant and bar on-site. 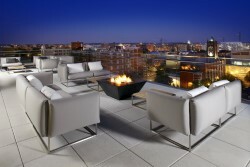 Experience the energy of the nation’s capital at this hotel near the Washington, D.C. Convention Center and get a birds-eye view of the District from the rooftop lounge. Enjoy easy access to the Smithsonian Museums, Lincoln Memorial and other Washington Mall attractions. Complimentary WiFi and mini-fridge in room; fitness center, bistro and bar on-site. 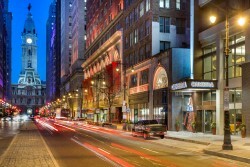 Visit bluegreenowner.com to Book a Cambria Hotel Through Direct Exchange Today! *Reservations are subject to availability. To reserve a Cambria Hotels or Ascend Hotel Collection property through Direct Exchange, you must be a Choice Privileges member and link your member number to your Bluegreen account. Reservations may be made using annual, biennial, borrowed or rented Bluegreen Vacation Points. A reservation fee applies. Owners must be in good standing and current on all fees and dues to book a Direct Exchange reservation. Bluegreen Vacation Club owners and their guests are subject to the property rules of the individual hotel properties during their stay. Not valid in conjunction with any other offer. Only Traveler Plus members with a Bluegreen Vacations ownership purchase date of July 1, 2006 or later are eligible for the Direct Exchange benefit.